​Today’s bathtime blog is about Magick…what it really is…and what it really isn’t! Previous articles about my magickal work (Maya Magickal Spells & Personalised Initiation Programmes & Mayastar Academy Online Natural Healing & Spiritual Development Courses) have briefly described the actual definition of magick. But I think it deserves a full blog for those drawn to conscious spiritual development. Sometimes Magick is called a mystery religion or cult. Or “The Black Arts”. The latter sounds scary but using the words “dark” or “black” around magick refers to the secrecy around it. In the wrong hands magick is dangerous but not in the way you may think. It requires facing yourself in all your truth – this can be challenging. And people with a higher than normal ego consciousness balance, may become egocentric; delusional – even paranoid. Because they appropriate universal experiences as personal and literally fall into the trap of thinking they’re “God’s Gift”. When due study and balanced experience would tend towards the conclusion that, everyone you meet is also God’s Gift and as Extraordinary and Special as you are. There can’t be room for racial, financial or situational based beliefs in Magick. These are the comfort blankets for those clinging to ego consciousness. So Magick isn’t about being something you’re not or identifying as something that the ego resonates with. It is about being yourself. And this is often more a case of “cutting the crap” than it is of being a whizz with the tarot! It’s about becoming but becoming the truth of what you are. A truth that exists as a fundamental even if you aren’t conscious of it. It’s your reality…but tunes you into that most objective concept; “Truth as an abstraction of Consciousness”. Magick is the path to Self-Realisation for those moved to reconnect in a personal sense with that abstract divinity that exists within, without and in all ways transcends us. Magick means we are working (through any method; natural as well as supernatural) to align our actions, thoughts and feelings with our Higher Self: elevating our consciousness so that our motivation is to ACT on the promptings of the “Higher Will” rather than to REACT to promotings of the ego. It is a spiritual calling to Source. To manifest that Divine Source through all levels of “being” and for the good of all. Magick is defined as the art of causing change to occur in accordance with Will. The “Will” is the intent of the Higher Self. This idea of the freedom to “do what you Will” has way too often been interpreted by the more hedonistic, less self-aware among us, to mean we can “do what we want”. That would be very primitive and ego based definition of Will. It would define “Want” or highlight our human flaws if anything. The Mage’s first lesson is to learn the difference. The Higher Will is beyond “want” or “demand”. Those types of base desires based on manifesting instant satisfaction or the fulfillment of lower desires are typical attitudes of the Ego Self. Ego based consciousness is an emotionally immature state that reflects a spiritually immature state. Magick is the path to Spiritual Maturity but it is reflected in our mental and emotional lives too so if someone seems badly adjusted emotionally, you can know that there is a spiritual and mental component to that imbalance. It’s important for any aspiring magician or mystic learn to recognise these red flags and to resolve them rather than to passively assume they will sort themselves out. They say time heals…but it does depend what you do with that time! Through magick we choose to consciously align ourselves with a more mature state that resonates more with the Divine. Now you may call that external expression of Divinity by a name or define it as an abstract concept. But when you experience moments in life where you are aligned with it (the Divinity within yourself is in harmony with the Divinity that is without), things go smoothly, you feel good, and there is a sense of purpose and deep validation that comes from that intimate connection experienced through Magick. It is unique and undeniable. But to experience it usual requires removal of impediments to Higher Consciousness. It’s not uncommon for a personal tragedy to seem to be the catalyst for a sense of deep spiritual communion during prayer. As if the mind is occupied with our misery enough that our spiritual Higher Mind is free from the usual background noise. All experiences understood from a spiritual perspective have the potential for growth. It is a common complaint “how can you believe in God when bad things happen?”…well, how many drug addicts and alcoholics would there be if it was never possible to hit rock bottom. We may not know why bad things can happen to good people…but perhaps it’s just that we need to know, this is a level playing field. You can aspire to exceed yourself no matter what your outward situation and status. Spiritually, you are unique and possess potential; the same potential of the greatest evil or monumental saintliness. Spiritual, no one has a silver spoon and it could be argued the more challenging your life conditions are, the greater your potentional is. Now your path itself is unique. It may be based around personal beliefs and practices; disciplines of religion or philosophy. Observed devotions and practices. There is no single road to Self-Realisation. There is only the goal of achieving fundamental Wholeness through our subjective and objective experiences and understanding. Aspiring to Wholeness is the only path to true happiness. 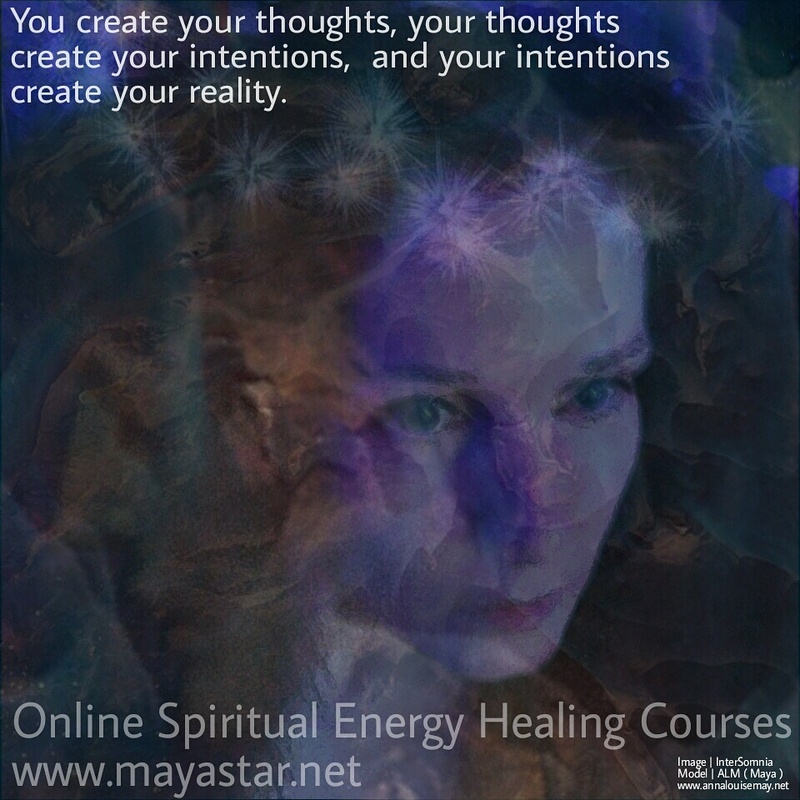 Through Mayastar Academy Online Natural Healing & Spiritual Development Courses I teach a variety of energy healing and meditation distance learning courses online. These are techniques that may add to your experience – or be a place to begin. These techniques can form a part of conscious spiritual development; and that was why I founded Mayastar in 2004. My intention is to provide support & assistance to people in achieving alignment with their Higher Will. It is an example of me choosing my vocation in alignment with my Higher Will; of causing change to occur in accordance with my Will. And to support others on the path to Wholeness by my lifetime’s devotion to the process. My ego would probably feel safer with a 9-5 – but my soul would remain unfulfilled. My life, thoughts, ideas, actions and beliefs are aligned with my Higher Will. Whether I am providing an initiation intensive, reiki attunement or tailored ritual intensive, my relationship with every client and student, reflects my higher intention. For my own journey, that’s how it has to be. And often my journey plays a part in the spiritual journey of another. There are many other more mundane things that I have to do to make this possible though. 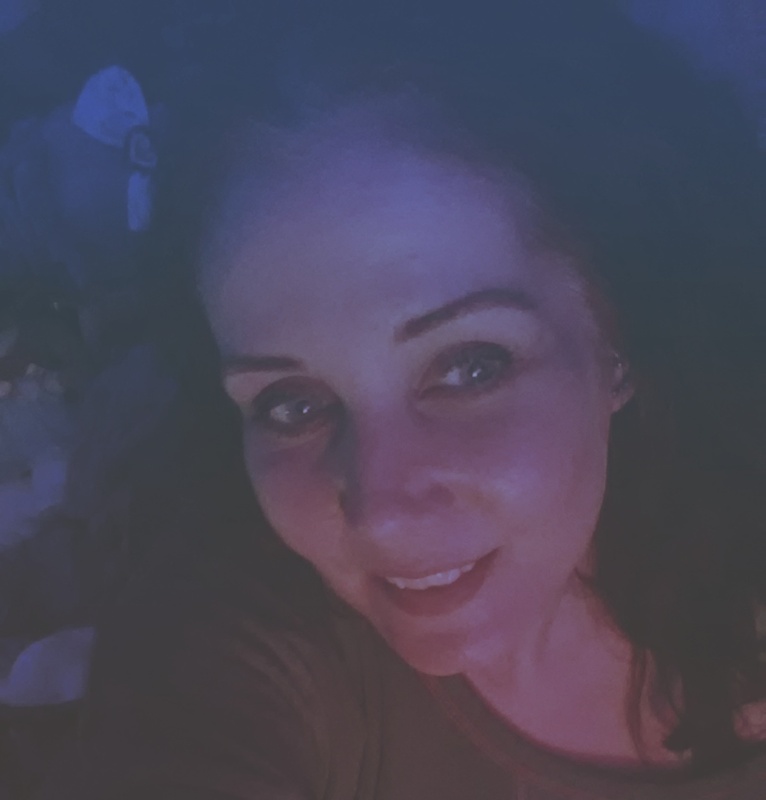 I have to feed myself, keep a roof over my head, do my accounts, pay my bills and taxes, choose a diet that doesn’t hinder my work (some of my spells require a lot of dance – they are choreographed Tantric Shamanic Rituals – I couldn’t eat a heavy meal or too many carbs on a ritual heavy day). But these sacrifices for the perfection of my work are part of the work too. The good habits aren’t a sacrifice because they actually have benefits on other levels. But most importantly, they enable to manifest my “soul purpose”. All these details are parts of that same magickal process and all essential to me being able to provide spiritual facilitation & service in accordance with my Higher Will. My decisions are made with that singularity of intention. Although my decision seems intellectual, the spiritual calling is my motivation. It’s much harder to explain and often harder to define our “destination” (destiny) because spiritual yearnings are different to other yearnings we experience. Our intuition develops as we go but using logic and intellect can be a safer starting point. A wooly intuitive desire could far more easily be confused with an ego based desire. That’s why you hear of people studying Magick. In the early stages, understanding our own motivations can be a bit of a minefield! Of course there have been times in the past where I made choices that took me out of alignment with my higher intentions. We all do – magick is process of growth and often can mean having thr humility to learn by our own mistakes. Sometimes by “unlearning” our past immature assumptions or beliefs. But as we practice, our self-awareness develops and as it does, we are increasingly called upon to make (sometimes hard) decisions. But what is consciousness, if not asking questions? When we are younger these crossroad moments can be harder on us; our ego has a loud voice but low aspirations! This can also be the case later in life if we have persisted in ego consciousness for a long time. It can feel like very hard work when we begin to move to the perspective of Higher Consciousness. The process of magick is a lifestyle. It includes everything that forms part of your life “expression” and it is a life-long path. Not a few years in a coven. But many years of disciplined and focused application. Akin in many ways to Bhakti Yoga (Devotional Practice). Is it really worth it you may ask? Well, if that’s a question, Magick probably isn’t your path. Magick is a way of life. It isn’t something you achieve “as if by magick”; it’s the practice of following the path to Wholeness and in being of “one mind”. It’s sometimes described as “the reconciliation of opposites” or “The Great Work” – these are very accurate names. But Self-Realisation is the one I prefer! It’s important to remember that whatever path you choose or techniques you use, keeping yourself in alignment with your higher will encompasses all aspects of your life, all of the time. We may recognise magickal proficiency by some external signs of psychic skills or talent in healing or spellcrafting. But the integration of our ego with our higher consciousness means our thoughts, feelings and behaviour all evolve too. The Whole Self is party to our development. And true Magick is the internal journey – the goal is always the spiritual aspiration. We can find guidance externally but there isn’t an external authority because the process is deeply personal and absolutely unique. Although we may have relationships and connections with people that share similar goals and can offer support and encouragement, the inner process is only something you can do. It requires discipline and devotion. It requires a personal level of commitment to the process (faith and confidence) that will support us through challenging times. Even if you’re working with a spiritual group or other group based around Self-Realisation, the journey to Wholeness is one we all make alone. And it is the only path to true happiness. 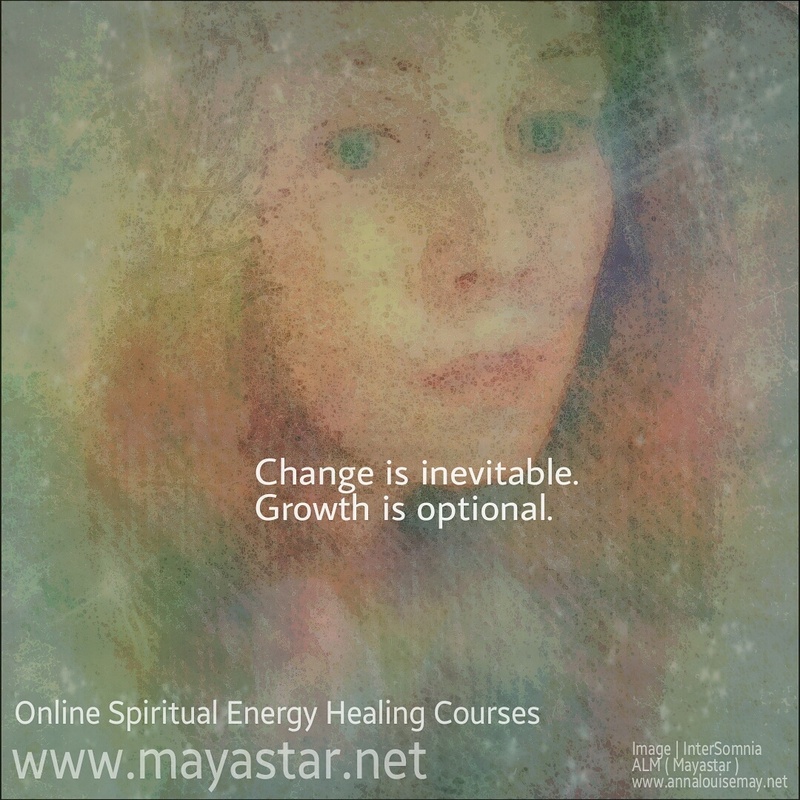 How Mayastar Online Natural Healing & Spiritual Development Courses Work & What sets Mayastar Academy Apart! This blog is inspired by an enquiry I received. It includes a lot of useful information that applies to many of my enquiries so I decided to turn it into an information article that covers many of the frequently asked questions I receive. Please find attached information manuals that explain about Mayastar Academy, Maya Magickal, energy healing, attunements, lightworkers as well as the current syllabus and other options available. Most energy based systems combine very well with Reiki. Some are based on developing connections with light beings to guide your work and your life and others are more structured or vibrationally specific energies you can use alonside Reiki in healing sessions or on their own. Reiki forms a good basis for practicing within because it is structured but as you develop it’s natural to work in a more intuitive way and including new energies is a great way to do this. The courses you are drawn to are usually the best place to start. If you feel feel guided to them there’s no better start than that. So for someone wanting to develop their energy healing and spiritual development experience I would recommend a variety – including empowerments to connect to higher beings, systems for healing that work well together and systems that are comprehensive and allow you to develop new ways to work. This would be my personal recommendation too because it encompasses so much. These are detailed on the complete course list page at www.mayastar.net/courses.htm so you can read more about them and see what resonates with you. You can receive a personalised package discount if you buy 3 or more options: 20% for 3 or more options; 25% for 6 or more options; 30% for 10 or more; 40% for 20 or more. To enrol on a personalised package please email your order to me and I will send a paypal request reflecting the relevant discount so that you can pay online securely by credit or debit card. (Note – a personalised package can include magical options from www.mayamagickal.net and courses from www.mayastar.net). As an example, were you to select all of the courses recommended above, the fee would normally be £1020 but with the personalised package discount this would be reduced to £700 with the Personalised Package Discount. 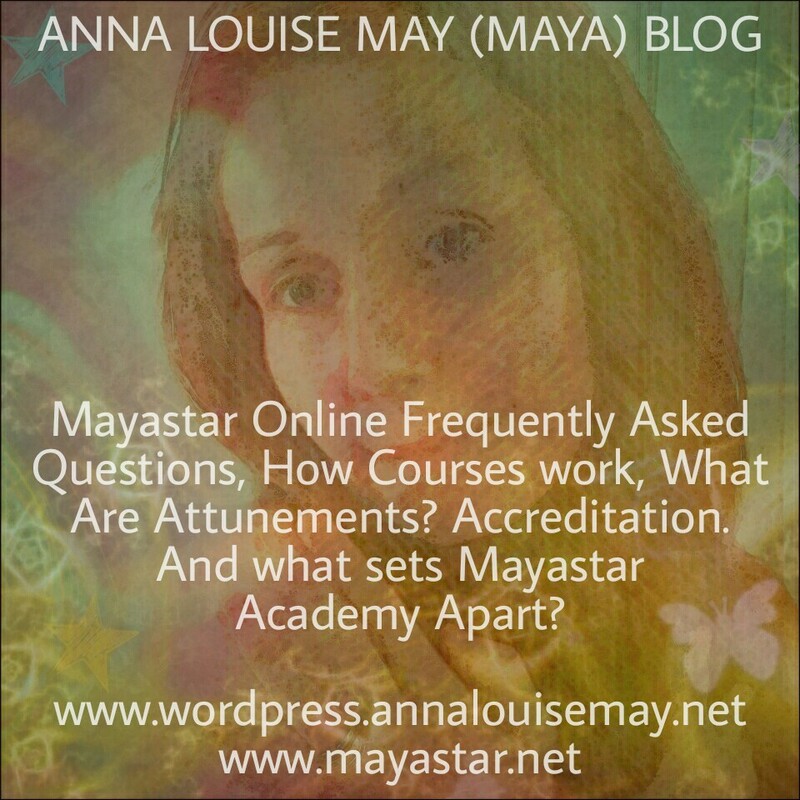 When you enrol on courses with Mayastar you will first receive your course manuals, study guides (Book of Inspiration Volumes 1-5), and an instruction email to guide you in the order to read the materials and explain how attunements work, how you receive them and so on. There is also additional information provided on vibrational healing, quantum theory, metaphysics, lightworkers, meditation, multi-dimensional philosophy and much more to give you an overview of where energy healing fits in to the grand scheme of things. This means courses are accessible to people with no previous experience and also provides inspiration to those who do! Your attunements are set up by me personally and within 7 days of purchase you are sent your certification and confirmation with instructions. All Mayastar Academy courses are web based and can be taken by people anywhere in the world. Manuals and Study Guides are in PDF format so you can study from your phone, tablet, computer or print them off. All courses are accredited by the International Natural Healers Association and World Metaphysical Association; who also accredit Mayastar as an established (in 2004) academy and myself as a teacher/spiritual facilitator. All courses are to Master level and enable the student to pass attunement on. And all courses can be upgraded (with a £20 administration fee) to a diploma. The Diploma certification requires you submit written work to demonstrate experience and understanding of that system. Support for students is via email and is included as part of my service during and beyond your course. There is no fixed time for you to call in an attunement once it’s ready. You can take it at your own pace and prepare for your attunements in the way that suits you. Many prefer this flexibility and privacy to the mass attunement options of seminars and other less personal options. Energy work and spiritual development is an intensely personal experience and over time I have ensured this is maintained while still being able to provide professional but tailored support for individual students. If you have any questions at any time please do not hesitate to contact me. I look forward to hearing from you and hope to work with you soon. Today’s bathtime blog is about Magick…what it really is…and what it really isn’t! Previous articles about my magickal work (Maya Magickal Spells & Personalised Initiation Programmes) have briefly described the actual definition of magick. But I think it deserves a full blog for those drawn to conscious spiritual development. Magick means we are working (through any method; natural as well as supernatural) to align our actions, thoughts and feelings with our Higher Self: elevating our consciousness so that our motivation is to ACT on the promptings of the “Higher Will” rather than to REACT to promotings of the ego. It is a spiritual calling to Source. To manifest that Divine Source through all levels of “being” and for the good of all. All experiences understood from a spiritual perspective have the potential for growth. It is a common complaint “how can you believe in God when bad things happen?”…well, how many drug addicts and alcoholics would there be if it was never possible to hit rock bottom. We may not know why bad things can happen to good people…but perhaps it’s just that we need to know, this is a level playing field. You can aspire to exceed yourself no matter what your outward situation and status. Spiritually, you are unique and possess potential; the same potential of the greatest evil or monumental saintliness. Spiritual, no one has a silver spoon and it could be argued the more challenging your life conditions are, the greater your potentional is. But as we practice, our self-awareness develops and as it does, we are increasingly called upon to make (sometimes hard) decisions. But what is consciousness, if not asking questions? When we are younger these crossroad moments can be harder on us; our ego has a loud voice but low aspirations! This can also be the case later in life if we have persisted in ego consciousness for a long time. It can feel like very hard work when we begin to move to the perspective of Higher Consciousness.